Video Conferencing has been around for quite some time, and there are many uses for it that can benefit your business immensely. Whether it is saving money due to airfare and travel expenses, or communicating with every branch of your company, it is a technology that will only serve to benefit your business. Today’s workforce is increasingly scattered. With working from home and working remotely on the rise all over the world, it’s likely you have employees who work from all over the country – possibly in other parts of the globe. Remote working has its many benefits, for both employee and employer. But, as you’ve probably experienced, it needs to be managed properly. Video conferencing allows you to do just that – you can hold regular, even daily, video meets with your remote workforce, agreeing goals and checking progress as you go. Travelling to meet clients and suppliers is all well and good, but it costs money. If you’re a start-up, each and every time you pay for travel you’re hitting your bottom line, hard. And for big businesses with plenty of resources, travel expenditure slowly starts to accrue – before you know it, it’s started to make up a hefty percentage of your monthly outgoings. But do you really need to travel? One of the benefits of physically meeting clients is, of course, the face-to-face contact it facilitates. Before video conferencing, it was difficult to replicate that through a phone call or email conversation. But the advent of video conferencing has brought businesses and clients much closer together and it’s perfectly possible to maintain good relationships with clients on a regular basis without the need to pay for travel. 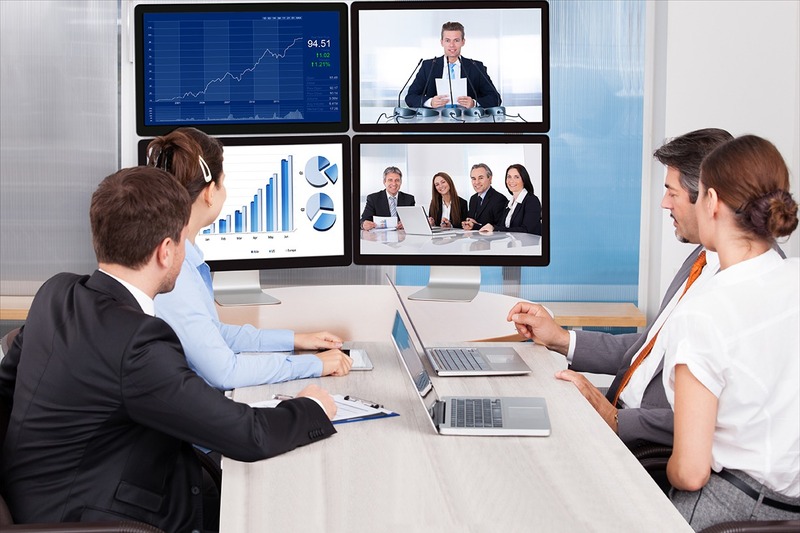 Video conferencing doesn’t just allow you to touch base with employees on a regular basis. Because it’s visual, you can use video to present projects, to demonstrate new products, to pitch to new clients, to introduce people to one another. Using video conferencing as a tool in your business can help streamline your communications and make your business truly international. For more information regarding how Video Conferencing can benefit your business, please give us a call at (714) 637 – 7272. Copyright 2017 Western Audio Visual.com. Allrights Reserved.